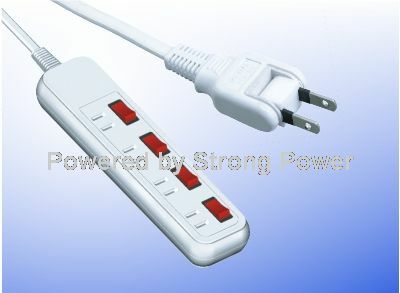 AS 3112 Australia three prong extension cord heavy duty plug with SAA certification.Rated up to 10A 250V.Our AS 3112 Australia extension cord products are fully molded with a low profile ergonomic design and RoHS and REACH compliant.These are also referred to as AS 3112 mains plug and Australia mains plug. 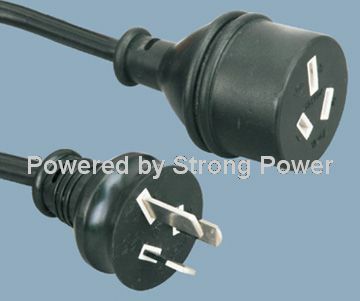 AS 3112 is the standard plug specification used in Australia and requires that the live and neutral prongs have at least 50% from base to tip, of a non-conductive coating to help prevent shock if the plug becomes partially dislodged or not plugged in all the way. 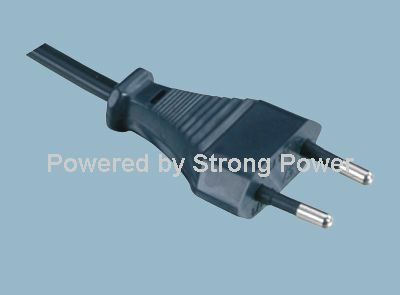 New Zealand uses the exact same products as Australia and calls this plug the NZS 311.